I've recently returned from a trip to the Southwest where I got inspired. And all those southwestern names are stuck in my head. 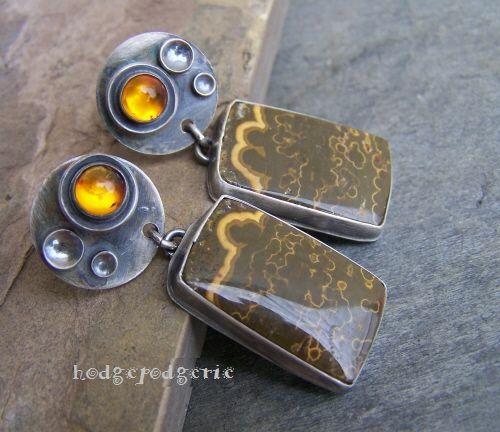 In these one-of-a-kind artisan earrings, matching ocean jasper cabochons in a lovely olive green with ochre-yellow striations have been bezel set in fine and Sterling silver to create. 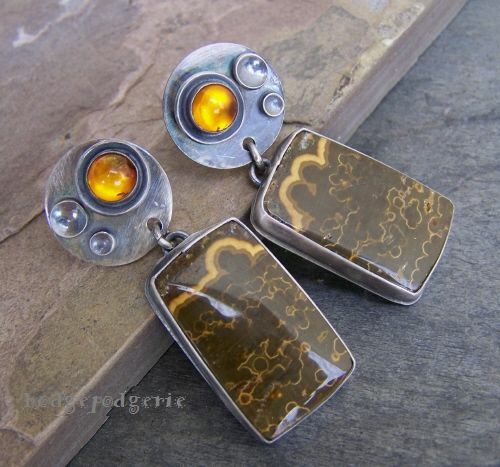 The jasper dangles are aproximately one-inch x 5/8 inches and dangle from 5/8 inch Sterling discs each set with a luminescent piece of precious amber. 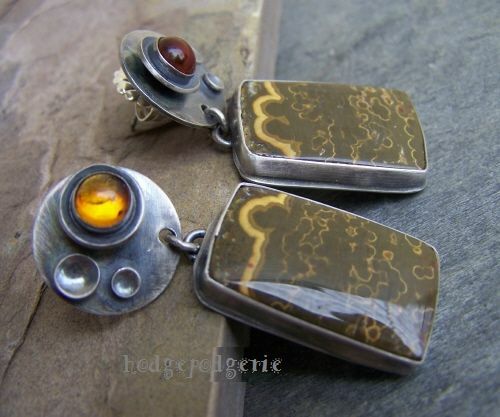 Measuring 1-5/8 inches from top to bottom, the earrings have been given a deep, rich patina. Friction-style posts with extra large 10mm Sterling silver wingnuts hold them securely. These earrings are currently being offered in a holiday show at a fine arts gallery. If you're interested in purchasing it, please email me for pricing and availability. 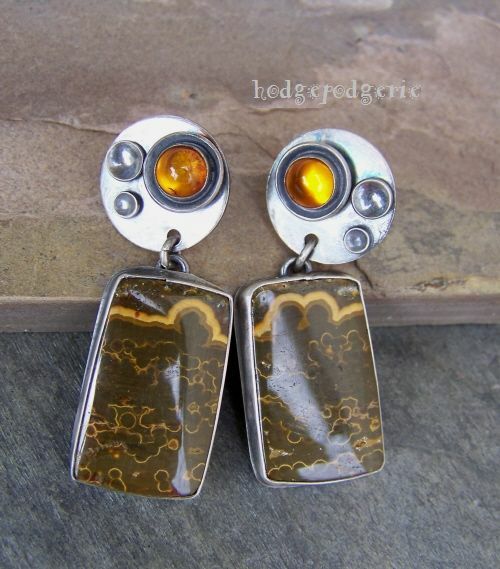 Return from "Mesa Grande Earrings" page to "Earring Gallery" page.